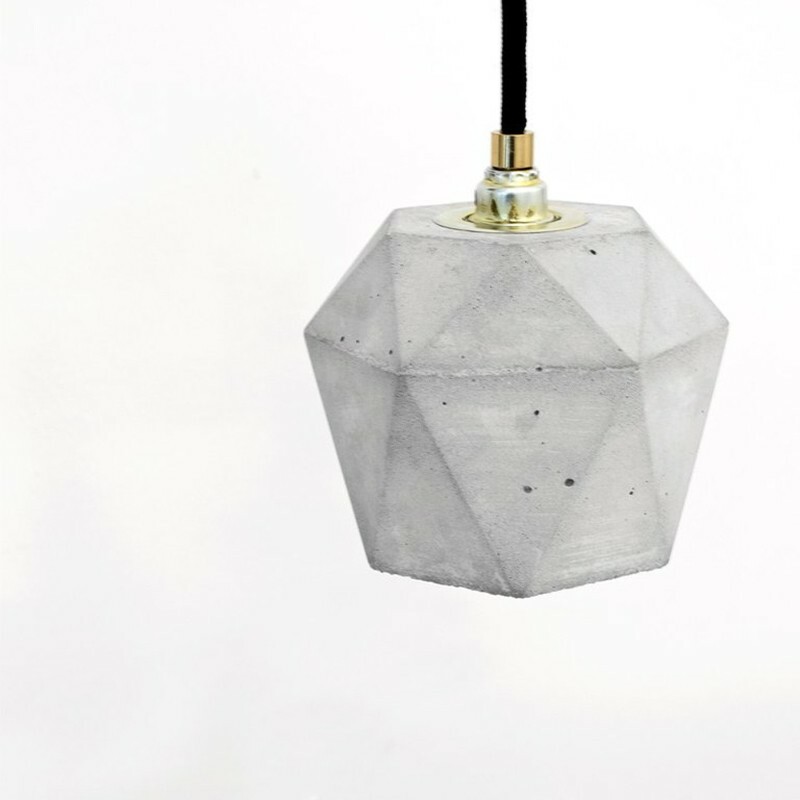 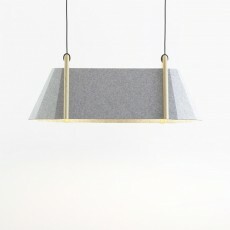 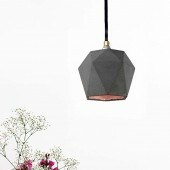 The triangualted pendant lamp [T2] is cast from a light or dark grey concrete. 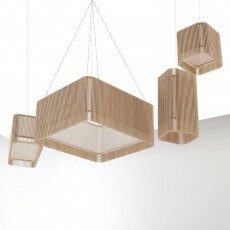 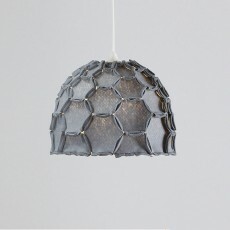 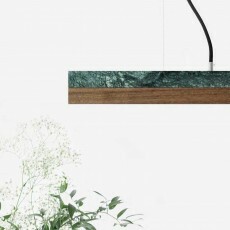 It combines noble gold, silver or copper with rough concrete into a timeless and elegant designer lamp. 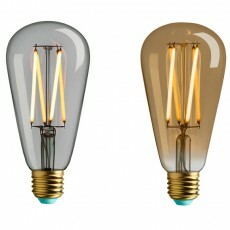 The high quality gilding of the insides emits a pleasant warm light.